Something pretty dang fantastic is happening tonight. In case you've been living under a rock, or haven't seen me mention it the ohhhh 600 times that I have... 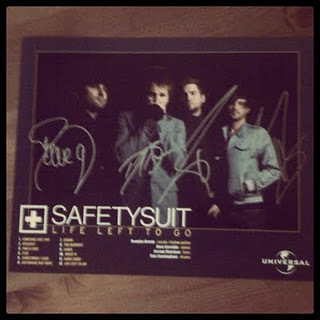 I AM GOING TO SEE SAFETYSUIT TONIGHT!!!!!!!! Yes, this is really happening. And yes, I am beyond all points of acting rational & staying calm about this. Some time last year I was listening to one of my many Pandora stations when a little song by the name of Gone Away popped up & grabbed my attention. I thought, hmm.. this is a pretty song. I think I kinda like it. I looked up the artist on iTunes and discovered that I liked a lot of their songs. The band SafetySuit was officially on my radar. I "liked" their facebook page, and followed their personal twitter accounts (which now has been combined in to one main band account). I would tweet songs as I was listening to them, recommending them to people who wanted something new to listen to. I made mixed CDs for my friends, and even mailed them off as far as Chicago :-) Soon my self, and my blog became associated with, "hey aren't you the one who likes SafetySuit?" and I would gladly say yes, yes I am! This past summer when I turned 30, a small group of amazing blogger friends got together to ask SafetySuit to wish me a Happy Birthday on twitter. When I woke up that morning & saw the tweet from them, well.. lets just say I almost peed my pants! haha It was the perfect birthday present this fangirl could ever ask for. As their new music release dates edged closer, I put myself out there and promoted as best I could. You have NO idea how much joy I get from someone, oh so randomly, finding me on my blog or on twitter and telling me they discovered SafetySuit because of me... and then sharing their love for the music, that I am so passionate about. If you follow this blog, then you know how crazy I am about sharing things I love. 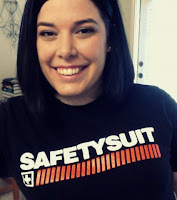 SafetySuit just so happens to be one of my most favorite things to infect all of you with! So fast forward to last week... the guys are holding an impromptu Q&A on twitter one day, and I ask them about their upcoming album release date (November 1st btw) and casually throw in that Houston would love to see them! One of them tweets back saying they'll be here in Houston on the 13th, with details to follow. SHUT THE FREAKING FRONT DOOR. This is when Ginger loses her stuff. I mean almost literally. Someone pick me up off the floor because I'm pretty sure I just died. Right there. On the floor. Dead. !!!!!!!!!!!!!!!!!!!!!!!!!!!!!!!!!!!!!!! I get to meet these guys. In person. It's happening. TONIGHT. Telling you that I am excited for this performance does not even come close to how I feel. The fact that I just wrote out an entire blog post about my history with this love affair should clue you in about how INSANE I am, haha. Music has and always will be a huge part of my life. It's something I've always connected with. 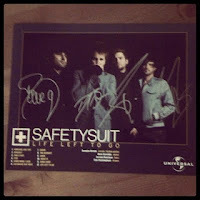 The guys from SafetySuit have created something that I have fallen in love with and never want to let go of. These four guys are truly sensational and really reach out to their fans. Their brilliance comes across loud and clear in every beat, lyric, and note they put their heart and souls in to. I can not wait to witness this with my own eyes and ears. HOLY CRAP. This is really happening. You are adorable. Have a blast--I already know you will! YAY!!! I'm so excited for you!!!!! There is nothing better than seeing a band you LOVE in concert for the first time. Have a great time, Ginger! Deep breaths, G, deep breaths. I expect a LOT of freaked out texts tonight. I'm so happy for you Ginger!! Just from reading your blog these past few months, I know how crazy you are about the band, so I'm excited for you that you get to see them...and I love how passionate you are about sharing your love for them...it's like me with U2, any excuse to mention them lol (BTW, re: your comment on my Tune in Tuesday - I know you're a U2 fan so as I was writing up the blog I thought 'I bet Ginger has seen Rattle & Hum' and I can't believe you haven't! You MUST, and I hope when you do, you'll let me know what you think *grin*). Have a super-fantasmically-amazing time tonight!!! PS - I cannot believe you're 30. I honestly had to read that a couple times because I thought 'no freaking way' lol. You look so young! I cannot WAIT for your text messages tonight. SERIOUSLY. And picture messages. And hopefully pictures of the ring, because one of them HAS to propose to you. I foresee this to be true. I'm so excited for you, Ginger!! I can't wait to hear about it! Have so much fun!!! 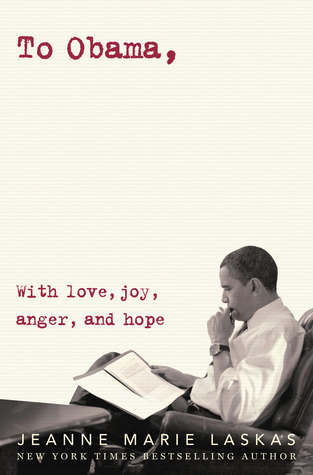 I'm loving all of your tweets today! :) And I'm sure you're enjoying yourself right now! Super exciting ! I've not heard of this band before but I definitely like a lot of their songs. I love safetysuit. I've been following them for a while now. I actually think they are one of the top bands to watch this upcoming year.